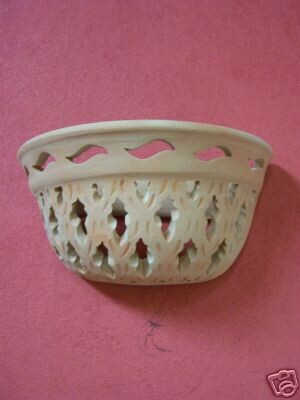 Simple wall lamps from terracotta, suitable as a decoration. 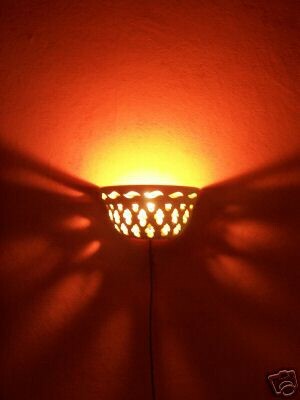 Terracotta - a further artistic handicraft from Morocco. Here, the beauty is combined with practicality. 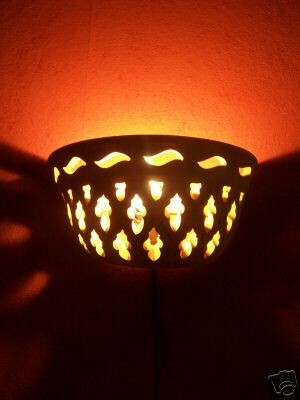 Bring home a piece of Moroccan clay with our attractive and beautifully shaped terracotta wall lamps. Terracotta has this unmistakable warm, earthy color. It fits well into a Mediterranean interior. Have the Mediterranean holiday flair at home the whole year round. Clay is a natural product Extracted from the soil of this country. The naturalness is even further highlighted by the individual handwork, where every item is unique and every specimen is a part of this country of the sea and the peope who live there.